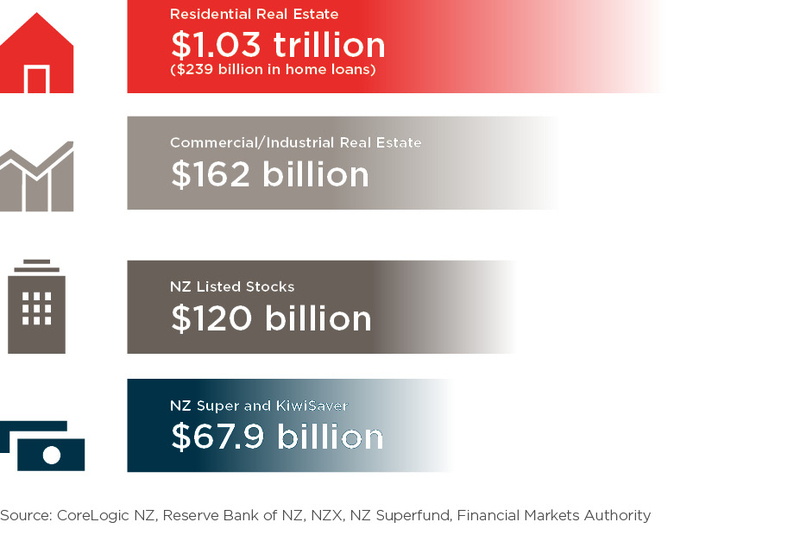 Despite all the talk of affordability, Kiwis still prefer their assets in property form but NZ's listed stocks are the rising star. The value of residential property continues to grow beyond one trillion dollars, dwarfing the value of other asset classes, with residential mortgages secured against 23% of this value. Listed stocks have bounced around in the last couple of months but the overall trend has been upward since the start of the year. They are now only just over 2% below their all-time high of September 2016.